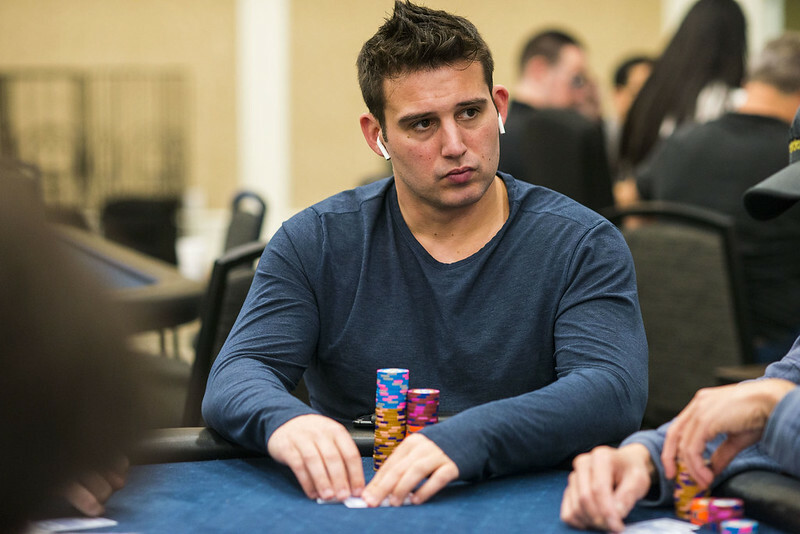 Finding a balancing act was tough for four-time WPT champion Darren Elias (pictured) in the mid-2000s. 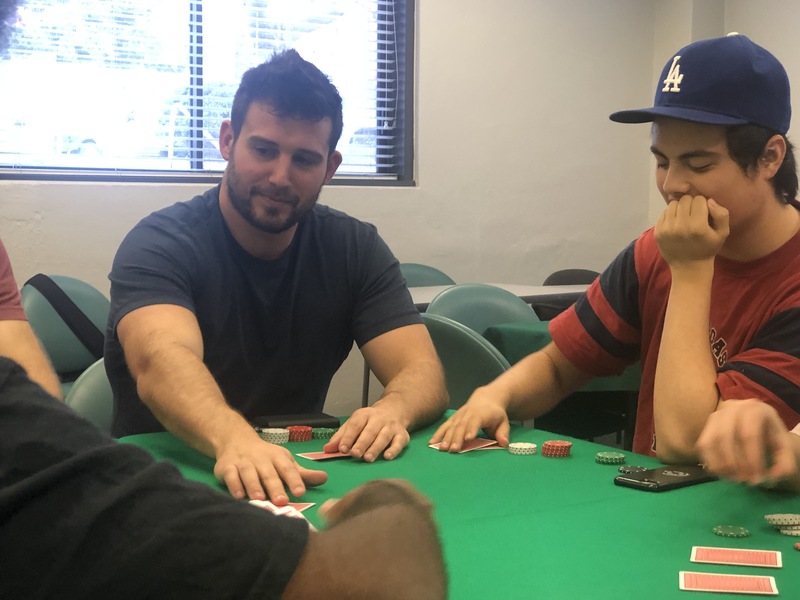 As a student working on a degree in math and physics, he’d been a regular in the University of Redlands dorm room games, online poker, and playing other tournaments. For this math whiz, it all just wasn’t adding up. Keeping on top of his studies and crunching numbers, while also playing on the water polo team and trying to hone his poker skills, had become a struggle. However, after some advice from assistant dean Dr. Fred Rabinowitz, Elias transitioned to something that better fit his new schedule and place in life. Redlands is about 70 miles east of L.A., and with the LAPC on his schedule, Elias had the chance to speak with students the day before the championship event got underway. Rabinowitz’s current class is fittingly titled “Poker and the Meaning of Life” and welcomed Elias as a guest speaker. Rabinowitz, a poker player himself and professor of psychology, remembers Elias as an intellectually gifted student who struggled with academics. His success online at night made early classes almost impossible. Elias found a sympathetic ear in Rabinowitz about his passion for the game and newfound earnings. “I supported him following what was exciting and engaging for him, but also told him it was important to have his degree just in case,” Rabinowitz says. “Since I was into poker, I think I better understood his passionate obsession. Darren, resourcefully and responsibly, found another major that had mostly afternoon classes and eventually graduated. After transferring majors to creative writing, Elias graduated in 2009. His parents had also been insistent that he finish a degree in case something went wrong with poker. Elias remembers Rabinowitz’s advice and was pleased to repay him a bit by speaking to his class. Elias hoped to offer some insight on how to be a successful poker player, but also maybe some pitfalls to avoid. “Poker is one of the few things I know something about, so I came and talked to his students,” Elias says. “It was a fun experience. I told them my story, what it was like playing poker at Redlands, winning money in the dorm, skipping class, getting bad grades, going to Vegas, changing my major, all that stuff. At the LAPC, Day 1 went well for Elias. He entered late, quickly doubled up, and bagged 70,000 chips when the night came to a close. Beyond his four WPT titles, Elias has amassed $6.6 million in live tournament winnings. In January at the WPT Gardens Poker Championship, he took down the $25,500 Six-Handed High Roller side event for $192,500. While that degree in creative writing hasn’t been put to much use since graduation, pounding out some words on the keyboard is still an option. Speaking at Redlands was a unique experience for Elias, taking him out of his comfort zone. But Rabinowitz believes his participation was a great experience for students. It’s not every day a poker player with his name on the WPT Champions Cup four times is your guest speaker. “Darren took talking to my class seriously,” Rabinowitz says. “He was really open to student questions about his life and how he balances his profession and family. He also gave insight into his hard work ethic that really inspired the students. At the end of class, Elias played a small poker tournament with students. Ever the competitor, there was no quarter given at the table. Students may have had their minds on other things as dismissal neared. The blind all in was a loser, but even a four-time WPT champ can’t win them all. And while he may be a star at the tables, Elias is a rec player in front of an audience.